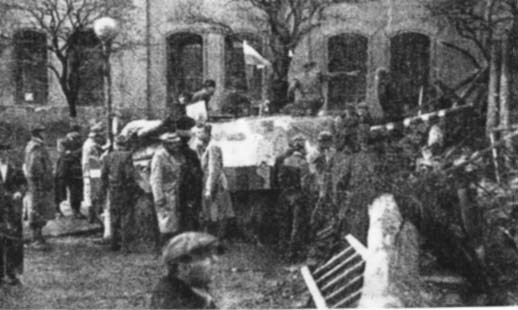 Hetzer with tricoloured stripes on it's side behind a barricade in unknown place in Prague, Czechoslovakia, May 1945. It is scanned from photocopy, but the photo in the book "Prazsky kveten" is not much better. it was one of 1st ROA Division's Hetzers.